This 3-in-1 ripstop bomber jacket offers high visibility, multi-layer warmth, and durability. The removable liner has been recently re-designed; and now features an upgraded fleece material and a new reflective accent stripe. It is made of 300D durable polyester oxford with a polyurethane coating making the jacket completely waterproof with a black rip-stop bottom. This jacket features a concealed hood, front chest pocket with ID badge holder, mic tabs, and utility pen/pencil pockets. Meets ANSI/ISEA 107-2010 Class 3 certification. Advanced products: We’re interested in bringing you and your team only the best in safety, comfort, visibility and weather-resistance, and we guarantee satisfaction. 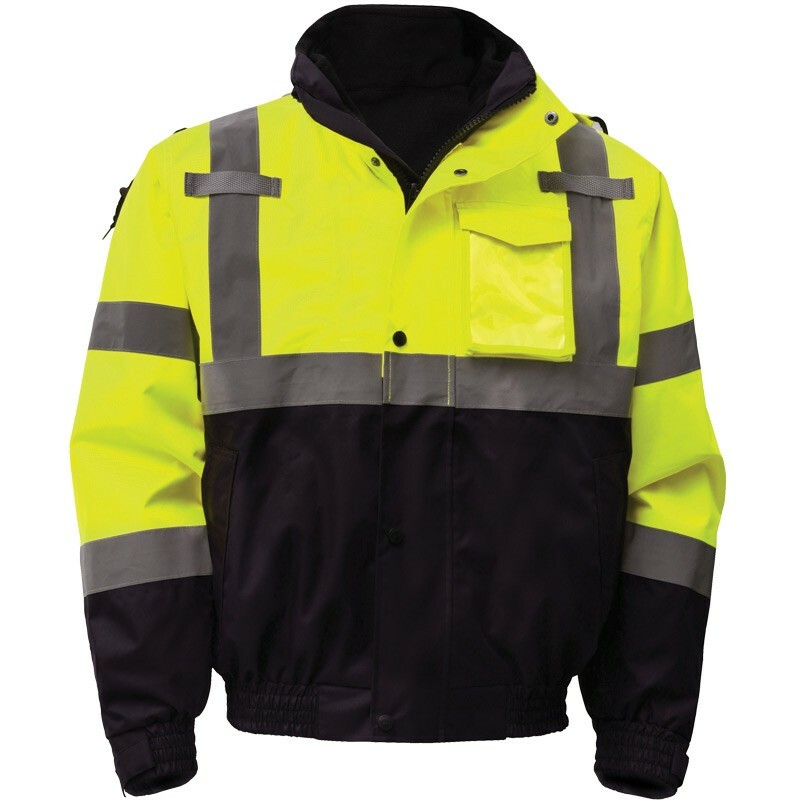 Whether you need our 3-in-1 Ripstop winter bomber with segmented reflective stripe, pavement markings, maintenance products, signs or something else from our well-stocked inventory, you’ll find the most advanced, long-lasting products.